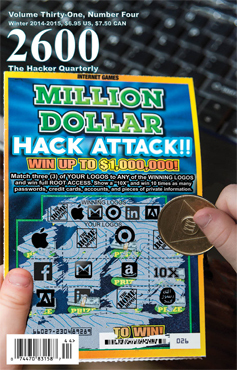 Get 2600 Volume 31, #4 (the Winter 2014-2015 issue) to read the continuation of Dev Manny’s newest case, “Hacking the Naked Princess”. Future chapters will be serialized in 2600 in every other issue. 2600 Magazine is available in many bookstores, including Barnes & Noble. 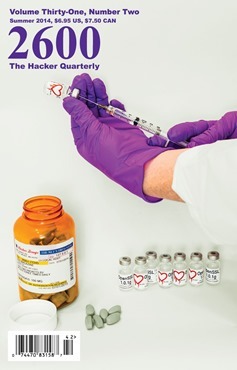 Individual issues can be purchased at the above links. Ethan, thanks for sending this in! 1) If you’ve read my book “Superliminal“, you’ll recall one of the plot points has to do with this exact thing – embedding non-picture information into a picture. When I write, I don’t hold myself to “hard” science fiction – I knowingly cross the line to what is “science fantasy”. Ethan’s project is proof that at least some of what I wrote about is possible! 2) Ethan teaches us: Human communication isn’t just about using slang or video or paper or House Atreides battle language… One form of communication can be used to transmit information from another medium. Here we have an MP3 audio file (already translated from another medium) converted into a picture. Now, reading the above photo might be tough, but that’s what computers are for. 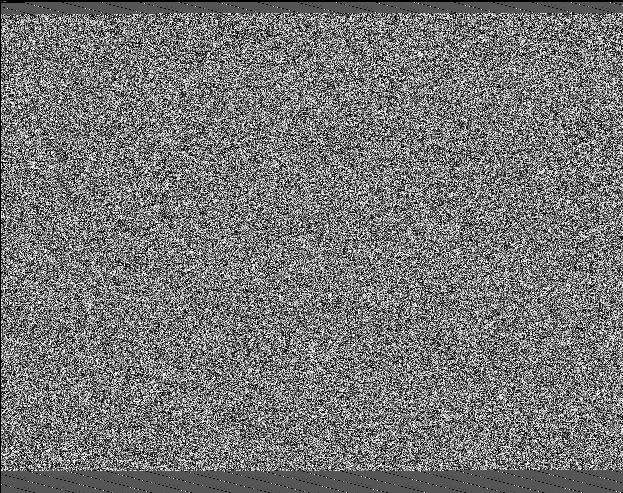 And since technology will eventually merge with our bodies anyway, I fully expect that some day, humans will be able to look at the above picture, and have my “eyes” read the song, my “mouth” sing it, and my “ears” hear it. Go get 2600 Volume 31, #2 (the Summer 2014 issue) to read the continuation of Dev Manny’s newest case, “Hacking the Naked Princess”. Future chapters will be serialized in 2600, probably every other issue. 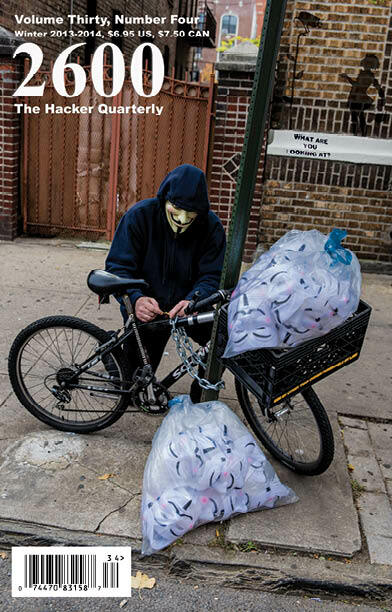 Go get 2600 Volume 30, #4 (the Winter 2013 issue), and read the continuation of Dev Manny’s newest case, “Hacking the Naked Princess”. The publisher and I have decided to part ways. This means that I will no longer be associated with the “League of Scientists”, “Ghost in the Water”, and any future books in the series. To those who have followed my adventures this far, thank you (and I’m still writing)! To those still eager to get your hands on the book – please keep an eye on the publisher Science, Naturally! for publication updates. Go get 2600 Volume 30, #2 (the Summer 2013 issue), and read the continuation of Dev’s newest case, “Hacking the Naked Princess”. Tyler and his older brother Zack are back from vacation. Tyler came back with amazing mental superpowers. Zack got a sunburn. Tyler shares his powers with Eena, a girl whose past is covered by shadows and secrets. A dangerous enemy is chasing them, and the three children scramble to prepare themselves. They have too much to figure out, and not enough time. 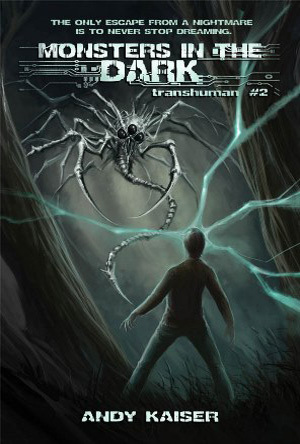 Transhuman #2, “Monsters in the Dark”, is complete and needs to be wrapped by another great cover. Want to help make it happen? You can. For those of you following along, you may have an interest in my latest adventures. I’ve been asked for updates from multiple people. Those causes have led to this effect: Below is the scoop on my current projects. The working title is “Monsters in the Dark”. Today marks the Completion Of The First Draft of the book. The next step is a revision, followed by another revision, and another revision… you get the idea. But First Draft Completion is important enough to me that I capitalized it twice! It’s a big step and I’m happy to have completed it. 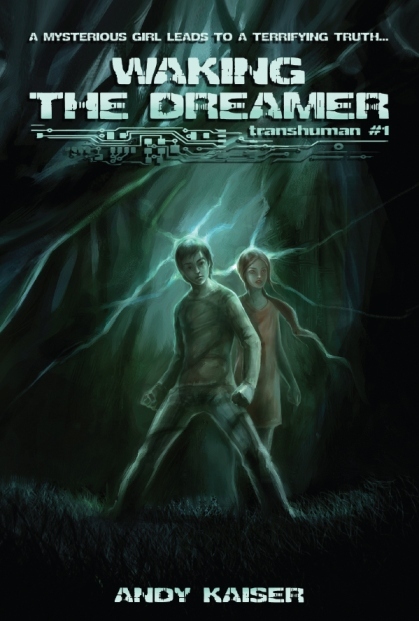 I’ve also contacted Darko Tomic, the artist who did the cover art for book #1 – “Waking the Dreamer”. I’m happy to say he’s on board to create the art for this book, too. It’ll allow me to keep visual continuity for the series, and, of course, he’s an awesome artist, so I’m eager to see what he does next. I released Dev’s second book – “Wetware” – a few months ago. Dev’s third book – “Hacking the Naked Princess” – is currently being serialized in 2600 Magazine. Coming soonish. See this post for detail. I mentioned it briefly before, but am bringing it up again because we are formally going to get this book through to publication. “We” means it’s a family effort: This is a children’s picture book that I’m developing with artist Celia Kaiser (my sister), and writer and conceptual designer Ally Kaiser (my daughter). “MrBtongue” is a video mashup creator – you may have seen his series on YouTube, titled “Tasteful, Understated Nerdrage”. The TUN videos detail his opinions of not only specific video games (it all started with Mass Effect 3, and continues with Dragon Age, Skyrim and others), but also includes his views on the state of the gaming industry, analysis of games’ thematic strengths and weaknesses (including multiple cram courses on what makes good storytelling), and recommendations for making games better. That last one is big – it’s easy to complain, but how often do you see a “nerdrage” video with intelligent solutions to a problem? The short summary of all of the above: MrBtongue has released videos that are entertaining, relevant and intelligent, of interest to geeks everywhere. The below is an interview with MrBtongue, who has graciously donated his time to answer a few questions. Andy: MrBtongue, thanks for your time today! Let’s start with the big one: What’s happening with you? Some rumors are that Electronic Arts has hired you away to oversee game design in a secluded basement room. Or they’ve gone the other direction, and have hired ninjas to silence you permanently. Are you still alive? Does TUN have a future? MrBtongue: I always assume there are ninjas nearby at all times, but so far they haven’t done me any harm, nor have I been hired by EA. What really happened is that I had to study for some big tests (the CPA exam) and took a break from the videos to do that. Unfortunately I left a bit abruptly and without much explanation, and I’m sorry for everyone who was left wondering. I do have plans for more videos – I hope to have one in the next couple of weeks, though experience has taught me not to commit to too much of a schedule, as I do get busy with other things. Just today the trailer for CD Projekt’s Cyberpunk game came out, and that’s the excuse I need to finish up the cyberpunk video. Andy: Part of TUN is insight and education. You’ve shown in great detail what makes a good game. You’ve taught what “Gesamtkunstwerk” means. Being able to apply such knowledge means more than restating Wikipedia. How did you get to this point? Can you give more detail on your background? MrBtongue: Spend a decade or so of your life overeducated, underemployed, and with access to the internet, and you’ll develop useless knowledge on a wide range of subjects. In college I studied literature and music, and thought about going into graduate school for literature (though I didn’t). Now I just read a lot (including wikipedia) and learn where I can. Andy: You have a handle on the state of the video gaming industry. A year ago, one of your videos presents the idea that smaller game companies can and should be able to compete against the massive game publishers like EA, particularly in areas of development costs and creative control. Do you still see this change happening? Where do you see the industry in the future? MrBtongue: I do think the momentum is going to switch towards smaller developers, though I suspect it’s going to happen frustratingly slowly. The main advantage of the EA/Activision approach was their ability to raise lots of capital, but their financial performance hasn’t necessarily justified the amount they’ve raised, and we’ve already seen their pace of acquisitions and growth slow down. I should note though that while I know my way around a spreadsheet, I’m not a financial analyst or anything, and not immune to wishful thinking either. But I do think that smaller studios are going to take a more leading role in the future. Andy: You know what makes a good story and how that ties in with what makes a good video game. Do you have interest in writing or story design work (in or outside of gaming)? MrBtongue: I do – but of course jobs aren’t easy to come by these days, and especially jobs in gaming. Andy: Several commenters have expressed interest in giving you money to ensure more quality content. Any thoughts on monetizing the TUN videos? MrBtongue: I have looked into monetizing them, but the first couple avenues I looked into I didn’t go with for various reasons. Then the whole thing went on backburner with the videos themselves. I’ll probably start looking into that again once I get back into the swing of making them regularly. I’ve been complaining about things so long for free that it’s strange to think of making money from it. Andy: What do you do when you’re not expressing nerdrage? MrBtongue: I work at a nonprofit in San Diego part-time, I’m a student part-time, and teach saxophone. I play games too, of course, generally RPG and strategy. Andy: Anything not covered here you’d like to mention? Any other projects you’re working on? MrBtongue: Just my next video, ETA two weeks maybe? I have a backlog of subjects – after cyberpunk is MMOs, and then violence in video games. I also have some plans for shorter segments, which are not reviews of entire games but detailed pieces on very small bits of them. Difficult to explain. Andy: Pretend that EA’s ninjas have marooned you on a desert island. There’s a Kickstarter campaign to save you, but the project won’t close for another couple weeks. You have an Alienware gaming rig, crippled to allow an install of only one game. You have plenty of food and liquids. It’s 2013. What game would you play while you waited for rescue? MrBtongue: Yeeeeesh that’s hard. Right now I’m playing the Baldur’s Gate Enhanced Edition and Far Cry 3, which are both good, but I think if I absolutely had to choose only one at the moment it’d be Skyrim. Not necessarily because it’s the best (though it’s very good), but because it’s the biggest and would vacuum up the most time. 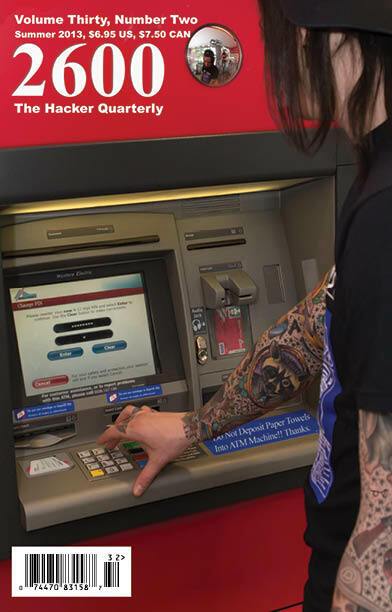 Andy: Thanks for your responses!